(3/9/19) Lerner Properties is proud to announce the grand opening of ShopRite in Port Jefferson Station, NY. (3/2/19) Lerner Properties is proud to announce the grand opening of Riverhead Liquor Mart in Riverhead (Gateway Plaza)! (1/14/19) Lerner Properties is proud to announce the grand opening of Party City in Mt. Kisco, NY! (8/21/18) Lerner Properties is proud to announce the upcoming opening of Party City in Mt. Kisco, NY! (5/16/18) We are happy to announce that HomeGoods in Melville, NY is now open! (4/18/18) We are happy to announce that HomeGoods in Melville, NY will be opening on Sunday, May 6th.! (9/21/17) We are very excited to announce the grand opening of TJ Maxx at Port Jefferson Plaza and that we are wishing them a lot of success! (8/10/17) Lerner Properties is excited to announce the opening of Verizon in Yonkers, NY! (7/20/17) We are happy to announce that construction has commenced on a new, ground-up 21,181 sf HomeGoods in Melville, NY! (3/24/17) Lerner Properties is excited to announce the opening of Ross Store in Philadelphia! (12/14/16) Lerner Properties is thrilled to announce the opening of Verizon in Riverhead Plaza! We are positive that they will have a very successful store here. (09/06/16) We are thrilled to announce the grand opening of Visionworks in Riverhead, NY! (08/26/16) Lerner Properties is excited to announce the opening of Modell's in Mount Kisco, NY! Click here to read the Riverhead News Review report. Click here to read the Newsday.com report. Lerner Properties is proud to announce its second acquisition of Summer 2015. The approximately 23,000 square foot street-retail type building is located in Mount Kisco, NY, one of Westechester County's most vibrant downtowns. Lerner Properties has one other property in Westchester County (Central Plaza in Yonkers, NY) and its now excited to own/manage two. Lerner Properties, LLC and GG Torrington, LLC are proud to announce the acquisition of an off-market Walmart and Price Chopper supermarket-anchored shopping center in Torrington, CT. This 203,000+ square foot property is also home to other national retailers including Michael's, Petco, and McDonald's which make up the rest of the A-list tenant roster. With its extremely close proximity to major highways and thoroughfares, the Torrington Fair Shopping Center draws consumers from the broader Litchfield and Hartford County markets. While Lerner Properties believes that this shopping center will continue to be the dominant property in its trade area for many years to come, future development on the site offers upside potential that could further solidify the property as the preeminent retail site in the market. "We are very pleased to have had this rare opportunity to uncover such a great asset in an off-market transaction," said Stephen Lerner, CEO of Lerner Properties. "We are eager to pursue other good opportunities like this one in the Connecticut and greater New England markets." His son, Jason Lerner, agreed and said "good off-market opportunities like this don't come around too often, so one needs to be prepared to act quickly. Our team is always ready to do what's needed to be done, and it certainly paid off here. We are thrilled to have been able to acquire this property!" (02/05/15) Michaels to open store with "new design" on Deer Park Ave. Specialty arts and crafts retailer Michaels Companies Inc. will open a new store later this year in a long-vacant location on Deer Park Avenue in North Babylon, near the Deer Park border. "Michaels is looking forward to opening a new location in Deer Park in 2015, and introducing local crafters, artists, families and DIYers to our new store design that focuses on providing creative inspiration, fresh new products and an enhanced shopping experience," Michaels district manager Neil Kravitz said in a statement. Michaels officials declined to say exactly when the Deer Park Avenue store will open, how big the space will be or how many people it would employ. The space is currently under construction. The location was vacated by former mall anchor tenant Sears Hardware more than two years ago, when that company began closing poorly performing locations in 2012. 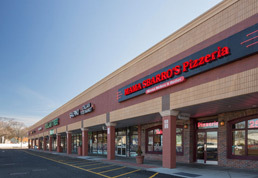 The open-air shopping center also includes a Mama Sbarro's pizza shop. Irving, Texas-based Michaels owns and operates 1,168 Michaels stores in 49 states and Canada. There are 11 other Michaels on Long Island, according to the chain's corporate website. HPE Boulevard LLC, an affiliate of Hirschfeld Properties LLC, was the seller. Holliday Fenoglio Fowler L.P. in Boston brokered the sale. The shopping center is anchored by CVS, with Santander Bank, United Parcel Service, H&R Block and Sprint among tenants. The center is 94 percent leased, said Jason Lerner, of Lerner Properties. "This is our first property in Connecticut," Lerner said, "and we're looking forward to further expanding our portfolio in Connecticut and other states in the New England region as well." 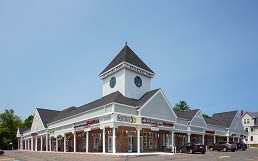 HFF announced today that it has closed the sale of Boulevard Shops, a 24,600-square-foot, CVS-anchored shopping center in West Hartford, Connecticut. 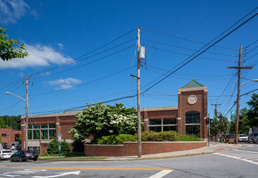 HFF’s Boston retail investment sales team marketed the property exclusively for the seller, HPE Boulevard LLC, an affiliate of Hirschfeld Properties LLC. 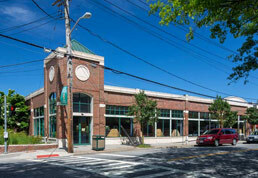 Lerner Properties LLC purchased the center for $10.028 million free and clear of existing debt. Boulevard Shops is situated on 1.82 acres at 463 Prospect Avenue at the intersection of three of the area’s major roadways, Boulevard, West Boulevard and Prospect Avenue. This places the property in the epicenter of a residential community in the greater Hartford area. The outdoor center is 93.5 percent leased to several national and regional tenants, including CVS, UPS Store, H&R Block, Sprint and Santander Bank. “We are very excited about this acquisition as we believe it’s a strong addition to our portfolio,�?said Jason Lerner of Lerner Properties. “This is our first property in Connecticut, and we’re looking forward to further expanding our portfolio in Connecticut and other states in the New England region as well.�? Hirschfeld Properties LLC is a fully-diversified real estate developer engaged in the development, leasing, management and ownership of multifamily residential communities, shopping centers, office buildings and hotels throughout the United States. The company also develops mixed-use projects which integrate all four of these project types and acquires select existing income-producing property. Learn more at hirschfeldproperties.com. Headquartered in Englewood Cliffs, New Jersey, Lerner Properties prides itself on its consistent success and achievements in an ever-changing commercial real estate environment. Through multi-generational, single-family ownership, Lerner Properties has been able to maintain a solid sense of tradition and leadership. They develop, own and manage a portfolio of strategically-located open-air shopping centers and retail properties in high barrier-to-entry markets. Through a "hands-on" management approach, Lerner Properties is able to optimally achieve the highest potential for its end users. Find out more at lernerproperties.com. HFF (Holliday Fenoglio Fowler, L.P.) and HFFS (HFF Securities L.P.) are owned by HFF, Inc. (NYSE: HF). HFF operates out of 23 offices nationwide and is a leading provider of commercial real estate and capital markets services to the U.S. commercial real estate industry. HFF together with its affiliate HFFS offer clients a fully integrated national capital markets platform including debt placement, investment sales, equity placement, advisory services, loan sales and commercial loan servicing. For more information please visit hfflp.com or follow HFF on Twitter at twitter.com/hff. (07/25/14) Lerner Properties is pleased to announce the acquisition of two new retail properties! 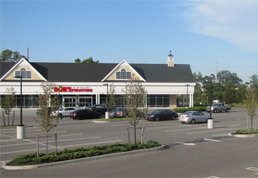 Boulevard Shops, a 24,600 square foot CVS-anchored strip center, is well positioned at the highly-travelled intersection of Boulevard, West Boulevard, and Prospect Avenue in West Hartford, CT. In addition to CVS pharmacy, the center is occupied by several national tenants such as Santander Bank, Sprint, H&R Block, Doctors Express, Kumon and The UPS Store. The purchase of Boulevard Shops is our first asset in New England, and we are eagerly looking forward to further expanding into the region. The other acquisition is a 4-acre property located on Route 110 in Huntington, NY. The site currently consists of a single building currently occupied by Bertucci's, a sit-down Italian restaurant known for their brick oven pizza. Lerner Properties is very excited about this property, not only because of its exceptional location, but because of the opportunities to further expand and develop the site. The property offers great access and visibility to Route 110/Walt Whitman Road, which will make this property a very strong addition to our portfolio. Urstadt Biddle Properties Inc. (NYSE:UBA and UBP) announced today that it acquired, through two wholly-owned subsidiaries, 50% tenancy-in-common interests in two adjacent retail properties in Suffolk County, Long Island from New Jersey-based developer, Lerner Properties LLC. 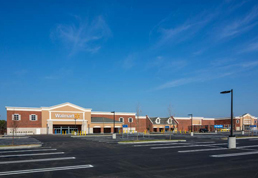 The first property is Gateway Plaza, a 20+ acre parcel with a 194,309 sf shopping center anchored by a brand-new 167,309 square foot Walmart store and a nearly completed 27,000 square foot freestanding retail building. UBP's 50% interest in Gateway Plaza was purchased for $12.4 million, and UBP and Lerner Properties refinanced the property at closing with a $14,000,000 first mortgage from Security Life of Denver Insurance Company. Gateway Plaza is located at the intersection of Old Country Road (a/k/a Route 58) and Kroemer Avenue in Riverhead, NY (Suffolk County) and has the unique distinction of being located directly across the road from, and sharing a traffic light with, Tanger Outlet Center. Tanger Outlet Center is one of the country's most successful outlet centers and contains over 165 brand name outlet stores. The Riverhead shopping area is located approximately 70 miles east of midtown Manhattan at the terminus of the Long Island Expressway, and is the regional shopping area for Long Island's North and South Forks. 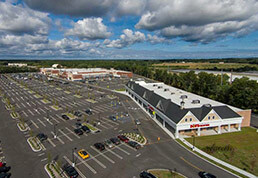 Shoppers flock to Riverhead from all of eastern Long Island. The second property is Applebee's Plaza, a 2 acre parcel containing an existing 5,363 square foot Applebee's restaurant and an undeveloped pad site with a buildable allowance of 4,500 square feet. UBP's 50% interest in Applebee's Plaza was purchased for $1.7 million, and the property is subject to existing mortgage financing in the amount of $1,170,000, which matures in January, 2019. Applebee's has been operating a very successful store at this location since 2000 and its performance should further improve as a result of the recent opening of Walmart. Willing Biddle, CEO of Urstadt Biddle Properties Inc., said, "We are very happy to have been able to invest in these very well-located regional retail properties and to be co-owners with Lerner Properties. There is a great deal of interest from prospective tenants in the 27,000 sf building under construction next to Walmart, and we and our co-owner expect to have it leased within six months. 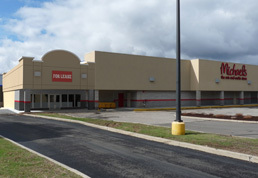 We also are working to lease the available pad next to Applebee's and hope to have a deal completed in the near future. We think that these acquisitions will provide a beachhead for more opportunities for our company in the Long Island market." Urstadt Biddle Properties Inc. is a self-administered equity real estate investment trust, which owns or has equity interests in 67 properties containing approximately 5.0 million square feet of space. Listed on the New York Stock Exchange since 1970, it provides investors with a means of participating in ownership of income-producing properties. Urstadt Biddle Properties Inc. has paid 177 consecutive quarters of uninterrupted dividends to its shareholders since its inception, and it has raised total dividends to its shareholders for the last 20 consecutive years. For more information about Lerner Properties, please visit LernerProperties.com. This press release contains statements that constitute "forward-looking statements." These statements are made pursuant to the safe harbor provisions of the Private Securities Litigation Reform Act of 1995. Such forward-looking statements involve known and unknown risks, uncertainties and other factors which may cause the actual results, performance or achievements of Urstadt Biddle Properties Inc. to be materially different from any future results, performance or achievements expressed or implied by such forward-looking statements. Such factors include, among other things, risks associated with the timing of and costs associated with property improvements, financing commitments and general competitive factors. Urstadt Biddle Properties Inc. undertakes no obligation to update these statements for revisions or changes after the date of this release. Lerner Properties is proud to announce the launch of our new company! We are all settled in at our new office in Englewood Cliffs, NJ. Lerner Properties is actively seeking to expand its already existing strategic real estate portfolio, with a strong preference for grocery-anchored shopping centers in the Northeast. Our main priority will always be our end-users, so we are constantly looking for the best real estate in the markets that are of interest to us. We are very excited and enthusiastic about the new opportunities that await us, which will ultimately benefit our tenants!